securities under a plan confirmed by court. Yes [ ] No [ ]. Not applicable. 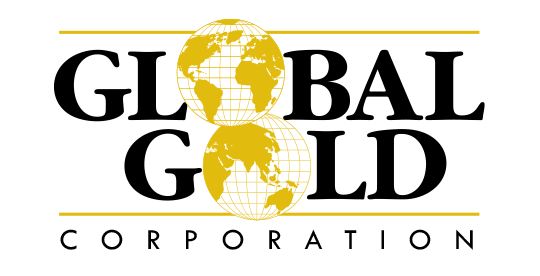 operations as Global Gold Corporation, through June 30, 2003.
full year ending December 31, 2003.
as consideration, therewith) while incurring costs in excess of $2,300,000. be necessary should the Company be unable to continue as a going concern. acquire a property (whether unproved or proved) are capitalized when incurred. and other costs incurred in acquiring properties. existing contracts as well as new contracts entered into after June 30, 2003.
have a material effect on the Company's condensed financial statement. issued under the 1995 Stock Option Plan as of June 30, 2003. At June 30, 2003, the Company had two stock-based employee compensation plans. compensation expense on a straight-line basis over the term of the agreements. Compensation expense for the six-months ended June 30, 2003 is $6,081. June 30, 2003 is $60,959. separate component of stockholders' equity. gain on the sale of $26,908. for net proceeds of $43,672 resulting in a gain of $1,207. ("PPM"). No additional shares are to be issued under the PPM. stock to Donald Galine at $0.25 per share for a total purchase price of $12,500. stock to Kang Chan at $0.25 per share for a total purchase price of $50,000. The Company issued the above shares in May 2003.
arrangement (which has not yet been consummated as of the date hereof). be earned, and vest ratably, during the 41-month period ending June 30, 2006. Compensation for the three-months ended March 31, 2003 is $10,976. Compensation expense for the three-months ended March 31, 2003 is $10,976. 37-month period ending June 30, 2006.
registered to conduct business in the State of Connecticut. c. On May 28, 2003, the Company entered into an agreement with GeoExplo Ltda. stage will provide for a review of the Santa Candelaria project in Chile. The value of the total contract is U.S. $82,000. Capital $17,500 as a result of such sale. consisted of cash or cash equivalents. resources to meet its obligations. with regard to significant deficiencies and material weaknesses. securities in accordance upon Section 4(2) of the Act. securities in reliance upon Section 4(2) of the Act. of southern Armenia. The term of the Agreement is for six months. Kazakhstan. The term of the Agreement is for six months.